The story of Balaam’s talking donkey is always a favorite with children. Use this free Bible lesson to help children learn more about listening to God’s directions. Key Concept: God’s people need to be prepared to listen for direction from God, and carefully follow his lead. Memory Verse: Numbers 22:35 The Angel of the Lord said to Balaam, “Go with the men, but speak only what I tell you.” So Balaam went with the princes of Balak. Children will learn that it is always best to do things God’s way. Balaam was determined to do what God told him to do, but when one little obstacle got in his way he tried to do things his own way. Children will learn that when they are faced with an issue it is best to freeze and listen to God instead of doing things their own way. Children will learn that God will use whatever means necessary to get the attention of his people and show them what He needs them to do. 10 pictures, five of people, four of other animals and one of a donkey. These can be taken from photo albums, clip art, or magazines. Search for images from Google. Open the Lesson: Begin by showing the children a series of pictures and asking them if the object of the picture can speak or not. Use roughly five pictures of people and five pictures other animals. The very last picture should be a donkey. When shown that picture, the students are likely to say that the donkey cannot speak. Say, You’re right! 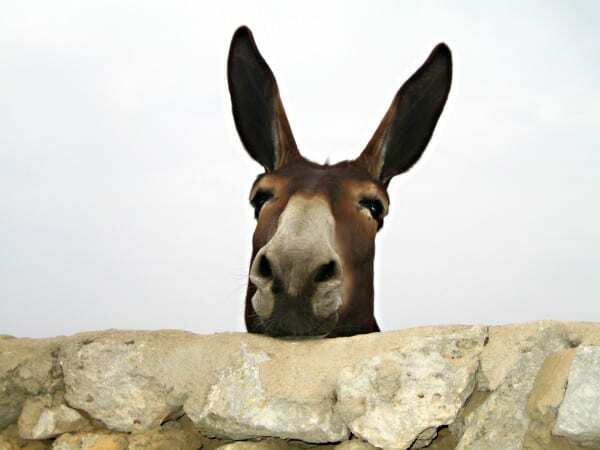 Donkeys cannot speak, but today we are going to learn about a time when God used a donkey to get a message to a man who tried to do things his own way. Allow for students to respond to the idea of a talking donkey. Introduce the Bible story: Say, The story of Balaam and Balaam’s talking donkey is in Numbers 22. Balaam was a prophet of the Lord. Balak, a leader of the Moabites, asked Balaam to come and make the Israelites leave their land, but God wanted Balaam to go to the Israelites and give them a message from God. Let’s see what happens to Balaam. Read the Bible Story: Read Numbers 22:21-41 to the children. Since this is a longer passage it would be best to read this from a children’s Bible or in the teacher’s own words. Tell the children, Three times the donkey saw the Angel of the Lord and all three times Balaam beat the donkey. Balaam saw that there was something in his way. He wanted to continue down the path but the donkey would not. God wanted Balaam to stop and listen to his direction but instead Balaam tried to do things his own way and ended up beating his donkey, even though the donkey was trying to save him. Freeze Dance: Ask the children what they should do when they are faced with something that they do not understand and that seems impossible. In the story Balaam tried to take things into his own hands when it would have been better for him to freeze and wait for God’s guidance. To help children remember to freeze and listen for God’s direction before they act, lead them in a game of Freeze Dance. To play Freeze Dance, simply turn on some music and tell the children to dance. They must dance while the music is playing and freeze when the teacher hits the pause button. Keep playing until the end of the song or until the children lose interest. Donkey Paper Bag Puppet: Ask the children, Does God often make animals talk? No. Have you ever heard an animal talk? No. This is the only time in the Bible that God allowed an animal to talk and give a message to a person. God wants us to do his will and will use whatever means necessary to make sure that we are listening to him. Give the students a brown paper lunch bag and crayons and allow them to draw a donkey face on their paper bag. Use brown paper cut into triangles for the donkey’s ears and large googley eyes for the donkey’s eyes. The children should draw a mouth with red crayon. Have the children use their donkey puppets to recite the Bible Verse. The Angel of the Lord said to Balaam, “Go with the men, but speak only what I tell you.” So Balaam went with the princes of Balak. Numbers 22:35. Close the Lesson: Remind the children that God told Balaam to go and do only what God wanted him to do. We should listen for God’s guidance. Ask the children what they can do to listen for God’s guidance. Children should pray, read their Bible, attend Sunday School, etc. if they want to hear from God. Thank you so much! I used the game and lesson plan. It was very helpful! This is great! Thanks for sharing it with other teachers. God bless your generosity. Tony Kummer (Editor) reviewed & updated this page on : November 6, 2012 at 10:16 am. All our content is peer reviewed by our readers, simply leave a comment on any post suggest an update.